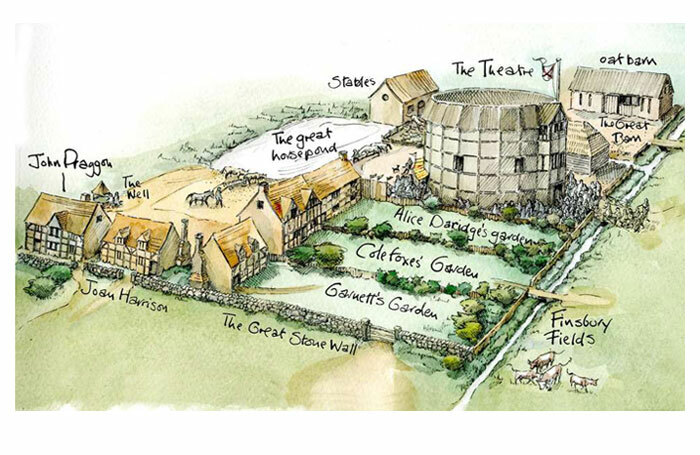 The remains of the theatre where Shakespeare’s Hamlet may have been first performed has been granted legal protection by the government. Archeological remains of the Theatre, which dates back to 1576, have been added to the National Heritage List for England, alongside the ruins of another Elizabethan playhouse near London’s Bankside. Shakespeare and his acting troupe, the Lord Chamberlain’s Men, were strongly associated with the Theatre – the remains of which were discovered in Hackney in 2008 . Some scholars believe Hamlet was performed for the first time at the venue in 1596, and it is also thought to be where Marlowe’s Doctor Faustus was first staged. The Hope playhouse – which doubled as a theatre and bear-baiting pit – has also received legal protection as a historic site. Close to both the Globe and Rose theatres when it was first built, the venue was where Ben Jonson’s Bartholomew Fair was first performed. It is thought to have been the last Elizabethan playhouse built in London, while the Theatre is considered to be the first. Announcing the new protection, heritage minister Tracey Crouch said: “As we celebrate Shakespeare’s great works and global influence on the 400th anniversary of his death, it’s important that we also protect and recognise the remains of the playhouses where his and many other fantastic British playwrights’ works first came to life on stage. Historic England chief executive Duncan Wilson said the archaeological remains “give us fleeting glimpses of a fascinating period in the history of theatre”.